If the battery is more than five years old and there’s any sign of it struggling to start the car, get it replaced. Some will struggle on for a bit but many won’t. It’s much better done at your convenience than as a roadside emergency. If you mostly do short journeys or leave the car standing for days at a time, invest in a modern battery conditioner/intelligent charger (We sell these) These can be left connected to the battery indefinitely and can prolong its life without overcharging it. Switch off everything electrical and dip the clutch to reduce the load on the battery when you start a cold car. Pop in for a visit and we can test and if necessary replace your old battery – at a time convenient for you. 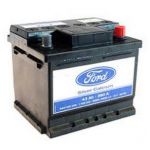 If it turns out that your battery just needs charging then we can offer an overnight charge.